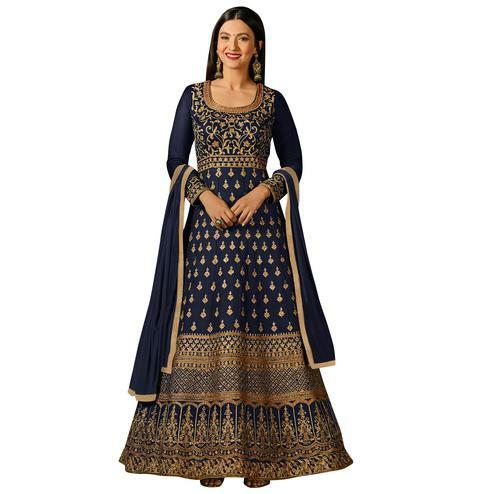 Look graceful and sophisticated at the upcoming wedding party by wearing this mesmeric beige-navy blue colored lehenga / anarkali. 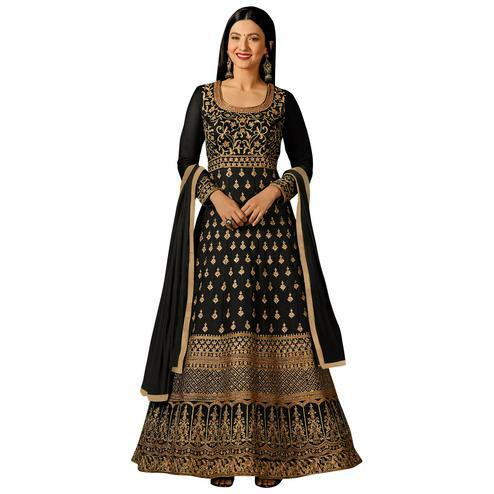 This ethnic piece has got heavy zari embroidery with stone work on entire dress. 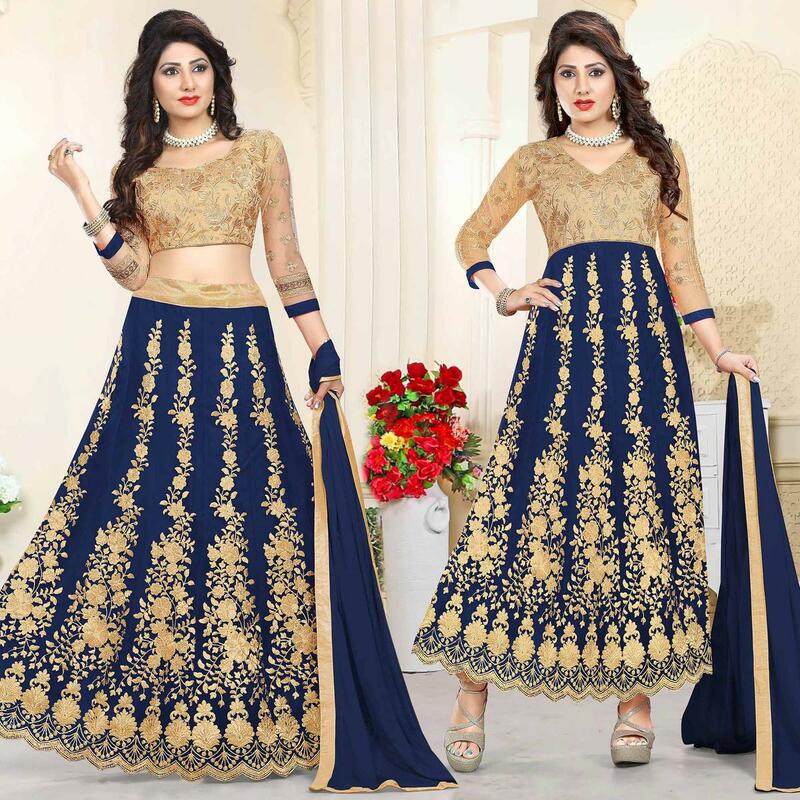 This suit also consists of art silk-net fabric top, santoon bottom, net lehenga, santoon lining and chiffon dupatta with lace border. 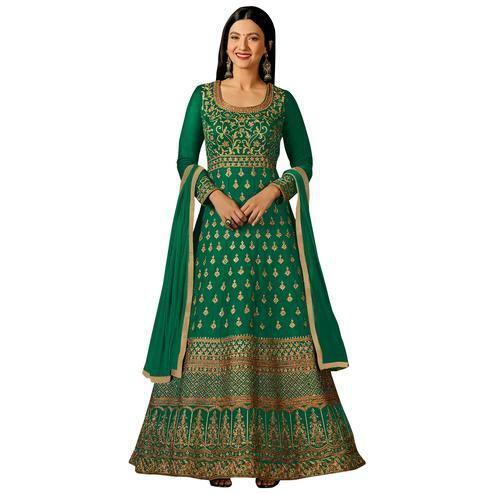 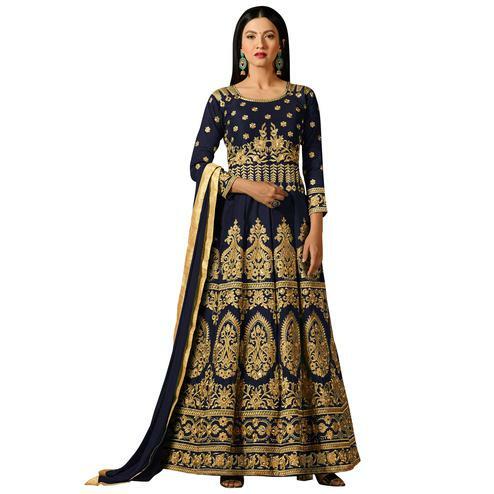 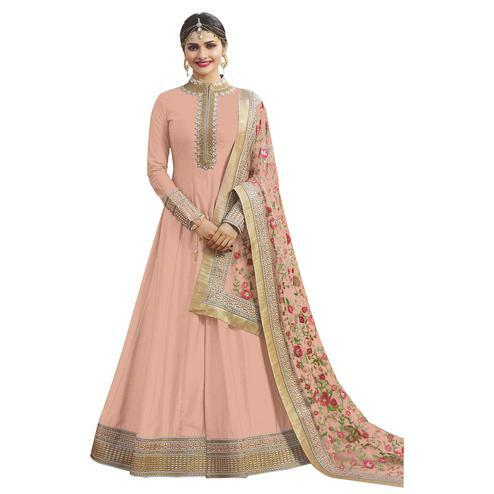 You can flaunt your style by getting this suit stitched into an anarkali or a lehenga choli as per your requirement and occasion in which you want to be in limelight. Suitable to wear for traditional functions festivals and special occasions. 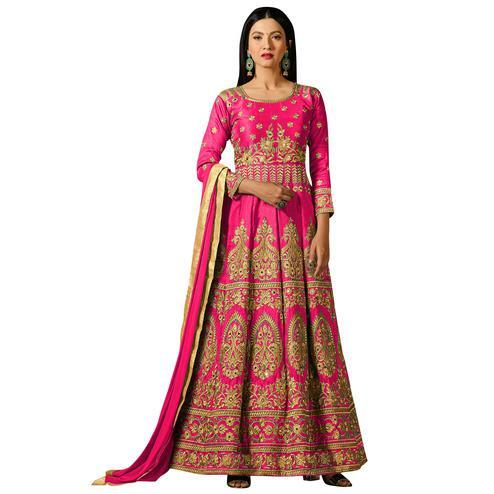 Pair it with matching ethnic accessories to elevate your ethnic look.